Five top spots for embracing the beauty of springtime. 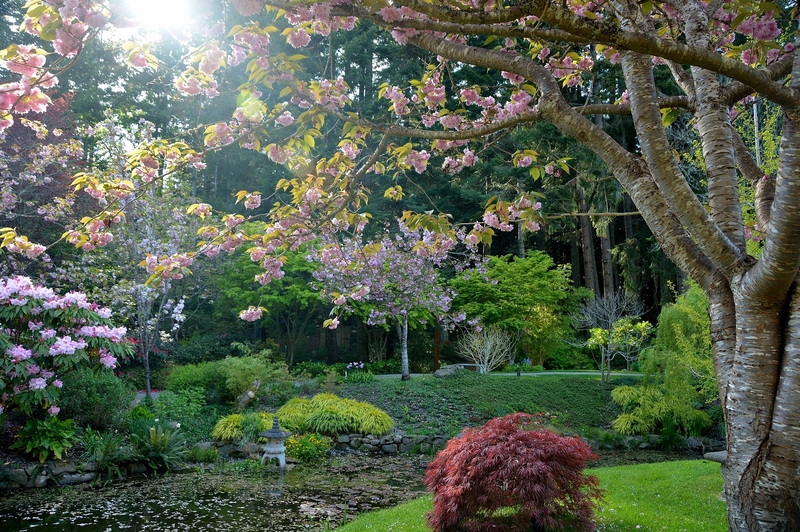 Springtime brings beautiful blossoms to Mayne Island’s Japanese Garden. Photo by LJ Brown Photography. With winter’s grey days receding across BC, now is the time to head outside and hunt down some soul-stirring springtime hues. Plants are suddenly bursting into life throughout the province, painting the region with a kaleidoscopic array of colours. From blossom festivals to guided walks and hidden garden gems, read on for our fragrant guide to the best of blooming BC. 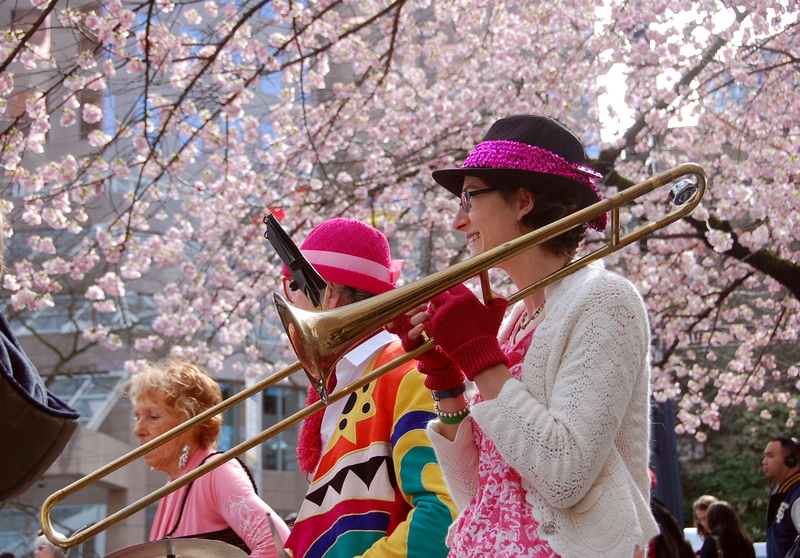 The Cherry Jam is among the many free events taking place during the Vancouver Cherry Blossom Festival. Photo by Joseph Lin. Running April 4 to 28, this citywide petal party incudes 22 free events, as well as the Sakura Days Japan Fair at VanDusen Botanical Garden. But it’s the easy access to the snow-globe surfeit of flowering, photo-friendly trees that stands out as the festival’s the main hook, says festival founder Linda Poole. 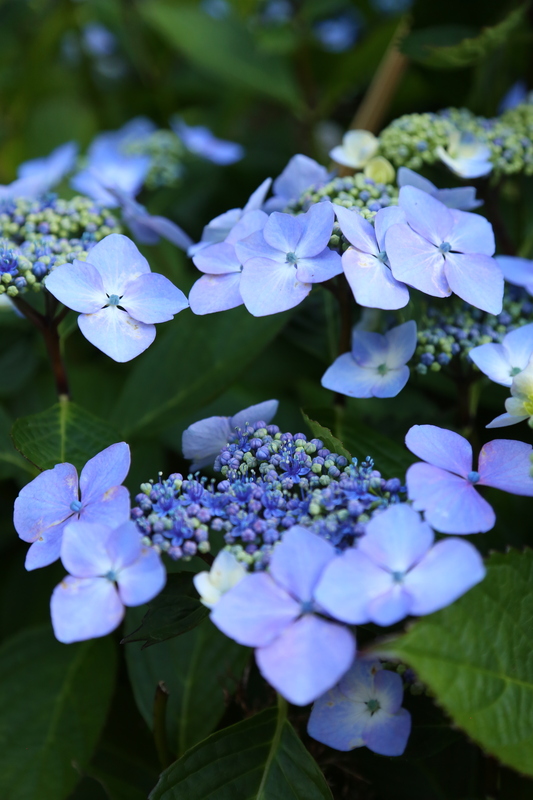 Extra blooms: Heritage Vancouver’s annual Garden Tour runs in June this year, inviting visitors to explore splendid private gardens around the city. This shoreline park in Richmond, near the historic Steveston Village, hosts a springtime cherry blossom blizzard. “The first 15 Akebono trees were planted here in 2000,” says Jim Kojima, describing the original tree-based commemoration for the thousands of Japanese locals who lived in Steveston before Canada’s Second World War internment policy­­ — including Kojima’s own family. Now, he adds, there are 255 trees in the park, creating a spectacular floral backdrop to the Richmond Cherry Blossom Festival, running on April 7 this year. Extra blooms: Further along Richmond’s riverfront, house museum London Heritage Farm includes delightful gardens studded with fragrant flowers. More than cherry blossoms await in the gardens outside Government House. Photo by Rachel Rilkoff/Government House. The lieutenant governor’s official residence, Victoria’s grand Government House includes 20 acres of formal garden displays. Entry is free but the Friends of Government House Garden Society also runs immersive 90-minute guided walks ($10 per person) from April to October. Extra blooms: Greater Victoria’s bouquet of green-thumbed attractions also includes Butchart Gardens and Hatley Park Gardens. On Vancouver Island’s east coast, this ocean-fringed gem includes 10 acres of cultivated gardens and a charming teahouse. Rhododendrons are revered here, and spring is when they’re in their pomp. Extra blooms: North-island adventurers should seek Ronning’s Garden, cultivated by a backcountry local with seeds from around the world. He died in 1963, but his rustic plot, with lush rhododendrons and towering monkey puzzle trees, lives on. The Japanese Garden on Mayne Island is a quiet and colourful oasis. Photo by LJ Brown Photography. BC’s historic Japanese communities are commemorated throughout the province, but ferry-tripping to this cultivated oasis — lily pads and burbling water features included — is a horticultural highlight. “Spring visitors enjoy a wide variety of plants and flowers here, beginning with the single blossoms and later the double blossoms on the cherry trees,” says garden volunteer Len Epp, adding that azaleas and rhododendrons flower as the season evolves.Mayne Island Garden Club chairJulie Schueckis also a fan, adding that island first-timers love discovering the site. “It’s an unexpected gem that’s well worth a visit any time of year,” she says. 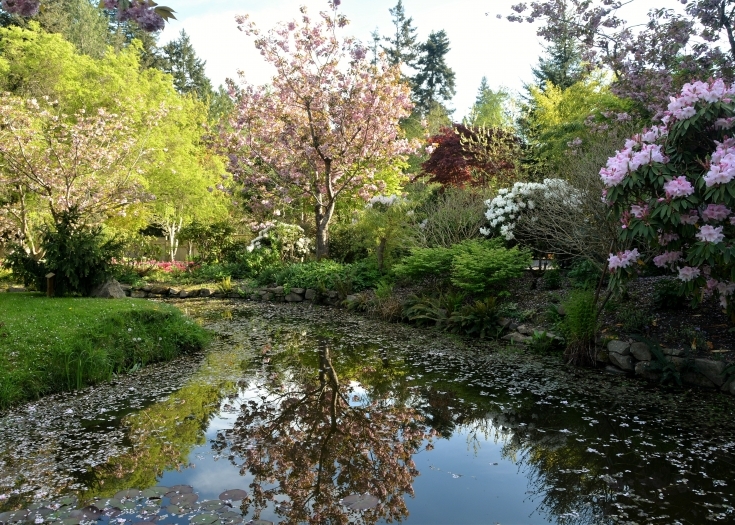 Extra blooms: Over on Salt Spring Island, the Japanese-themed Heiwa Garden hosts its Blossom Festival on May 11, complete with live music and delicious food.